This entry was posted in D Deficiency by Mark Pegram. Bookmark the permalink. 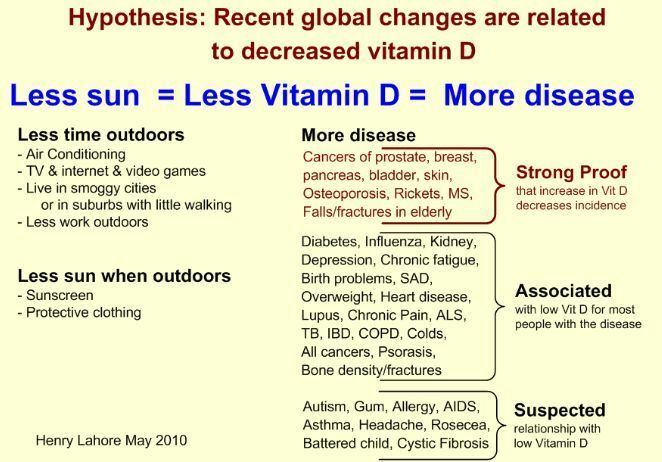 Mark and Friends – Henry Lahore’s Vitamin D Wiki is an incredible resource with about 1000 articles, graphs, discussions, videos, book reviews, etc. I’d like to draw your attention to the very first link: “Vitamin D is not snake oil”. If you click the link you will see a graphic that shows many topics in alternative health sorted by both validity and interest level. 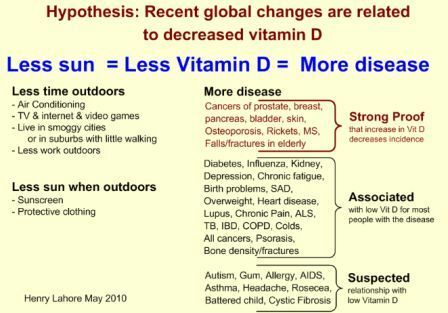 Vitamin D is at the very top of the list, signifying the most credible arguments, and it is one of the biggest circles signifying it is among the most published topics in both the medical literature and popular press. Spend time on the wiki; there’s a lot to learn about vitamin D.